Phil and Brendo talk a bunch about Comic-Con! They talk about Phil getting into the exhibit hall right when it opened, Brendo meeting a bunch of wrestlers, the Lethal Weapon and Frequency pilots, Brendo riding in the Ecto 1, the Webcomics Advocates panel, the Snowden panel, the MAD panel, the free soda room, the Rotten Tomatoes panel, the Kevin Smith panel, Phil having to carry an insane amount of toys around, and more. Phil also tells a story about a crazy movie screening he took his kids to after Comic-Con and there’s Marmaduke. Thanks for listening! This entry was posted in Episodes and tagged benview network, brendan creecy, brendoman, burrito, comic-con, ecto 1, frequency, ghostbusters, kevin smith, leonard maltin, lethal weapon, lucha underground, mad magazine, mc g, movies, netflix, oliver stone, panel, phil vecchio, pilot, podcast, radio brendoman, rotten tomatoes, san diego, scott mantz, screening, sdcc, snowden, star wars, toys, tv show, webcomics, webcomics advocates, weird, wrestlers, wrestling, wwe on July 28, 2016 by brendoman. Phil and Brendo are joined by Andrew Linde and Patrick Scullin at WonderCon 2016. They discuss how to make webcomics and their experiences in the world of webcomics. They also take questions from the audience and allow creators in the audience to pitch their webcomic to the crowd. Check out our Facebook Page at WebcomicsAdvocates.com. Thanks for listening! This entry was posted in Episodes and tagged art, benview network, brendan creecy, comics, creator, digital art, drawing, illustration, kickstarter, marketing, panel, patrick scullin, phil vecchio, podcasts, radio brendoman, social media, webcomics, webcomics advocates, wondercon, writing on April 7, 2016 by Phil Vecchio. Phil and Brendo are up late for your entertainment. They discuss Phil’s recent New Orleans vacation, WonderCon, Bob’s Burgers, Preacher, Batman v Superman: Dawn of Justice, Brendo’s new job prospect, Brendo’s upcoming Dallas trip, books, The Goldbergs, and lots more. Thanks for listening! This entry was posted in Episodes and tagged 11.22.63, batman, batman v superman, benview network, bob's burgers, books, brendan creecy, comics, convention, hulu, movies, netflix, new orleans, nxt, panels, phil vecchio, podcast, preacher, radio brendoman, superman, texas, the goldbergs, tv, vacation, webcomics, wondercon, wrestlemania, wwe on March 31, 2016 by brendoman. 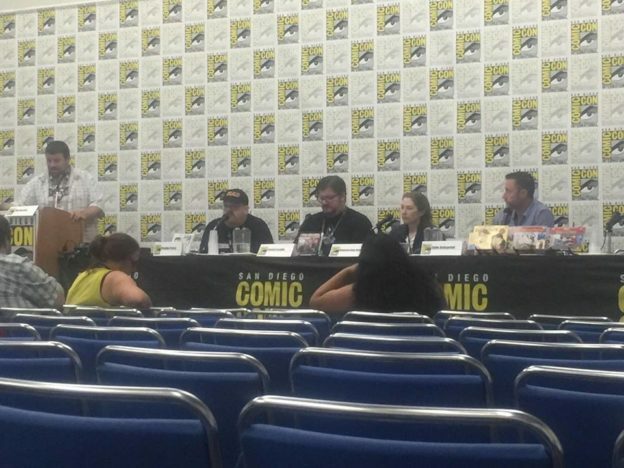 Phil and Brendo are joined by Josh Anderson and Patrick Scullin for the Webcomics Advocates panel at SDCC 2015. They discuss all things webcomics related as well as let creators in the audience pitch their webcomics. This entry was posted in Episodes and tagged benview network, brendan creecy, josh anderson, panel, patrick scullin, phil vecchio, sdcc, webcomics, webcomics advocates on July 14, 2015 by brendoman. Phil and Brendo discuss all things Comic-Con as they ramp up for the big event. They also talk about their recent camping trip and 4th of July festivities. All this plus the usual movie, TV, book, and video game talk. Be sure to come see us at our Webcomics Gathering panel in Room 4 on Thursday at 8:30 PM if you’re going to be at SDCC! This entry was posted in Episodes and tagged 3ds, animation, benview network, brendan creecy, brendoman, comic-con, comics, convention, disney, kevin smith, marvel, movies, nintendo, phil vecchio, podcast, radio brendoman, san diego, sdcc, streetpass, tv, video games, webcomics, wwe on July 7, 2015 by brendoman. Phil and Brendo discuss Brendo’s recent trip to WrestleMania and their trip to WonderCon. They also talk about Easter, Streetpassing, Pokemon, the Webcomics Advocates panel, and lots more. This entry was posted in Episodes and tagged 3ds, anaheim, benview network, bob's burgers, books, brendan creecy, candy, comics, convention, easter, last man on earth, netflix, nintendo, panel, phil vecchio, podcast, pokemon, radio brendoman, streetpass, video games, webcomics, will forte, wondercon, wrestlemania, wrestling, wwe on April 9, 2015 by brendoman. Phil and Brendo are joined by Josh Anderson and Patrick Scullin for the Webcomics Advocates panel at WonderCon 2015. They discuss all things webcomics related as well as let creators in the audience pitch their webcomics. The audience mic levels were a little screwy so we apologize for the distorted audio during those segments. 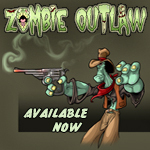 This entry was posted in Episodes and tagged benview network, brendan creecy, comics, creator, diy, josh anderson, make things, panel, patrick scullin, phil vecchio, podcast, publishing, webcomics, wondercon on April 8, 2015 by brendoman.